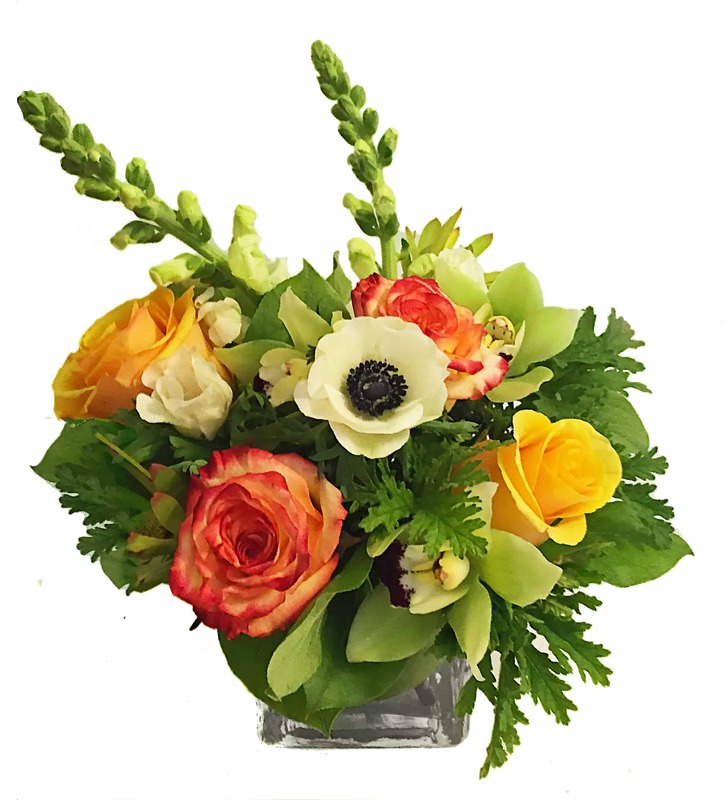 This happy and energetic arrangement brings out the best in personality. Decorative and peaceful, this simple yet elegant piece can be sent for any occasion. This beauty features Geisha Roses, Protea, and fresh Cymbidium Orchids in a Ti Leaf Vase! Brighten anyone's day or find a simple, but happy way to wish someone another wonderful year of life with this great arrangement! It makes every occasion special even when there is no occasion at all!